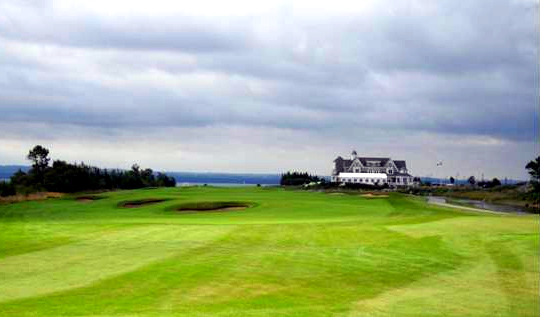 Cobble Beach Golf Links is an incredible course with wonderful scenery and amazingly smooth greens. 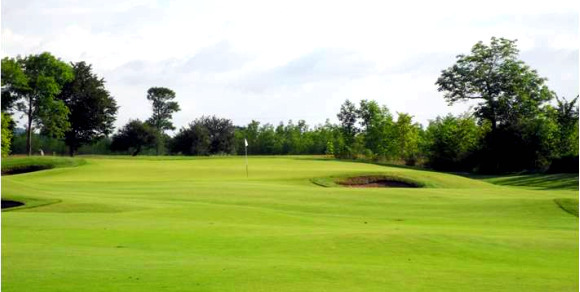 For prime time green fees, Cobble Beach Golf Links will run you about $140 before tax which includes your range balls, golf cart, GPS, bottled water and full use of the facilities. This price range falls into the C rating category. However, we were able to play between Monday to Wednesday prime time "all you can golf" for $100 each. The difficulty for this course was pretty high. The slope is rated at 134 from the blues and it plays tough as there is not a lot of landing area outside of the fairways. The fairways are a reasonable size but when you get up near the greens, you run out of space again. The course is well protected by the bunkers and elevation as well as the breeze blowing in off Georgian Bay. If that's not enough, Cobble Beach's greens protect themselve pretty well all on their own by providing a difficult one putt even on short putts. A+ rating for this course is about right. 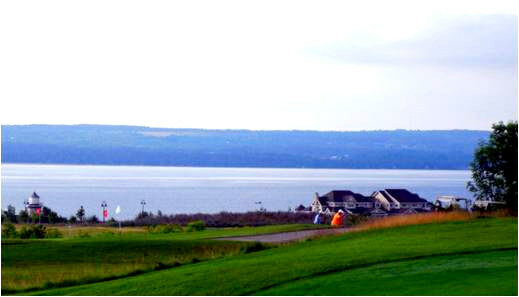 You would be hard pressed to find much better scenery than at Cobble Beach Golf Links. 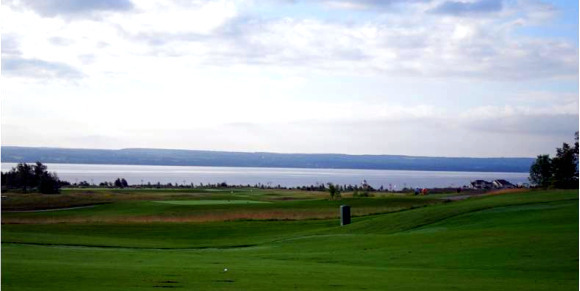 The course has stunning Georgian Bay views along with beautiful landscape and shapely holes and bunkers. The course really has it all. This course is well deserving of an A+ rating for scenery. The green conditions were as good as I've seen this year anywhere. Earlier in the week I said this about Coppinwood and Cobble Beach was just as good. They were so smooth and the ball would just keep rolling forever. Even though the greens were pretty fast, they really were a great speed that wasn't unfair. A+ rating for these greens for sure. Fairway conditions were imaculate. They were pretty well trimmed and there weren't many divots. They were probably the best I've seen yet think year. An A+ rating for these fairways is appropriate as well. The clubhouse was just gorgeous an it has a full bar/restaurant, locker room, pro shop and banquet facilities. The look and feel of the clubhouse itself is a work of art. I think an A+ rating is right for this area. The layout was pretty much perfect. The course makes great use of all the elements of scenery, elevation, sand, water and even a little bit of trees. If the aforementioned elements aren't enough to protect this course properly, the undulating greens will do the rest. Carting is optional (according to one staff member) but walking the course would be a challenge as there is considerible distance in between holes in some cases. Consider getting a cart which is included in your green fee.The course rating for this area is an A+. 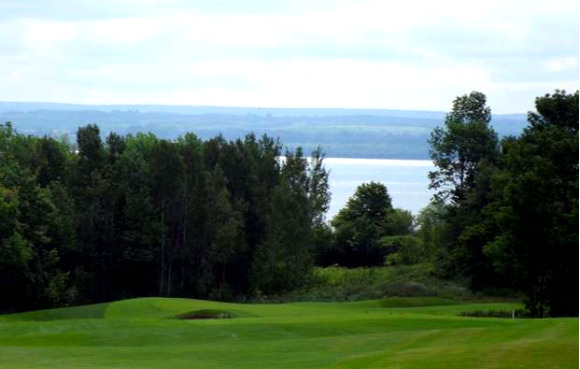 Cobble Beach is a links style golf course found in Owen Sound Ontario. Return HOME from Cobble Beach Golf Links.